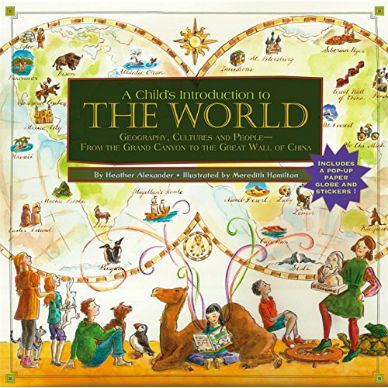 A Child’s Introduction to the World includes a Pop-Up Globe and Stickers! 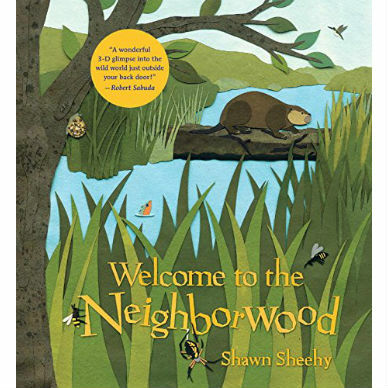 Readers ages 9 to 12 will travel around the globe, from Greenland to Tasmania, learning the locations and characteristics of continents, countries, and states and provinces in this lively introduction to our world. 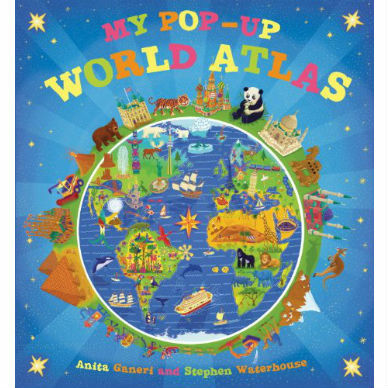 Starting with the basics—hemispheres, latitude and longitude, continental drift, map notation, landforms, population density, and more—the book gives kids a solid foundation to begin exploring world geography. Each section profiles a different continent, including climates and biomes (tundra, grasslands, etc. ), mountain ranges and bodies of water, people and cultures, governments and industries, wildlife, and much more. And sidebars throughout offer biographies of explorers, fun facts, and projects kids can do with parents or on their own. The book also includes a pop-up paper globe and reusable stickers. Heather Alexander has written several books for children and young adults. She previously served as vice president and editorial director at Parachute Press, where she edited four young-adult series, three middle-grade series, and several nonfiction titles. She lives in Basking Ridge, New Jersey.